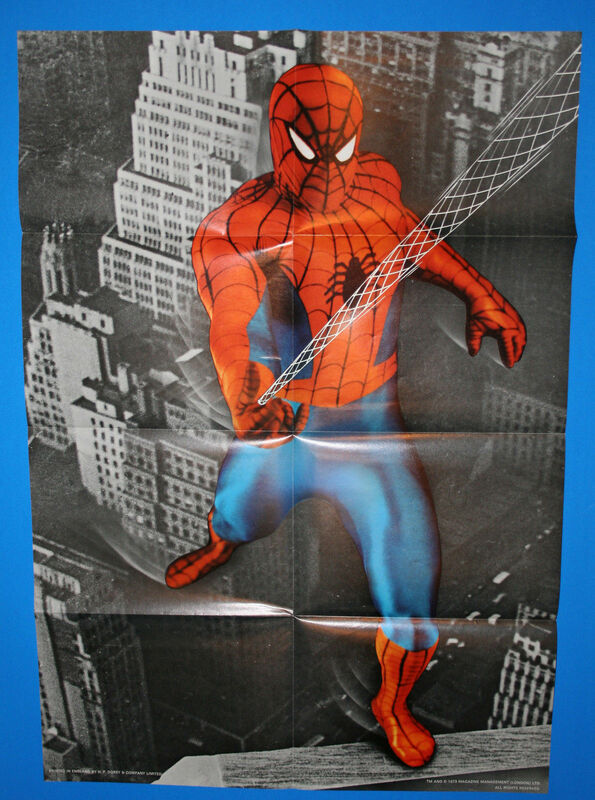 I interrupt my holiday programming to bring you the worst Spider-Man poster anybody has ever seen. It was given away during an early stamp book promotion—a year before the Value Stamps were introduced in 1974. Extremely rare, according to seller Marvel Museum, and also extremely hideous. Yeah that is pretty bad. Hideous, ye, but as bad as the 1977 live action TV version? Nay.